What does CBD stand for, and what is it? Have you head of the new cannabis oil CBD and you are wondering what it stands for in full or what it is useful for? Well, CBD is cannabidiol, one of the active ingredients in medical marijuana and also found in industrial hemp. Here is a comprehensive guide to discover and use CBD for the right reasons. As the name implies, the cannabidiol compound is to find in cannabis plants and is only extracted from the whole plant for its medicinal and supplement value. Origin of CBD and the controversy around marijuana prohibition. CBD comes from marijuana, yes, the controversial herb that has seen thousands jailed and billions of taxpayers’ money being used to fight its distribution and use. But the governments around the world are not ignorant of the fact that marijuana has certain medical benefits for anti-cancer, anti-anxiety, anti-inflammatory among others that make it an ideal herb to draw some healing from. It is the same governments that permit the free distribution of a cigarette that is a leading cause of lung cancer-related deaths and alcohol which kills millions through road accidents. The new wave of awareness has turned the tide on people’s take on marijuana and its derivatives. Now a substantial majority of non-specialists stand behind legalization. Governments fear trade imbalances and such other strategic disadvantages and hold on to the status quo for now. But it is only a matter of time before the people get what they deserve. The CBD part is only a single compound of cannabis but also one of the two most popular of the hundred or so cannabinoids that have been discovered to be contained in weed so far. It is almost impossible to explain to people what cannabis oil is and that it does not get them high without mentioning its sister cannabinoid, tetrahydrocannabinol or THC for short. 600mg CBD Oil for $44.99! When you know the benefits that CBD can deliver for your body, you start to understand the whole point in extracting it from cannabis plants and how such oil supplements work to provide both nutrition and medicinal value to users. Over the last decade or so, the CBD substance has drawn the attention of all mainstream medical scientists, and it is being studied as a full-fledged alternative to medical marijuana. 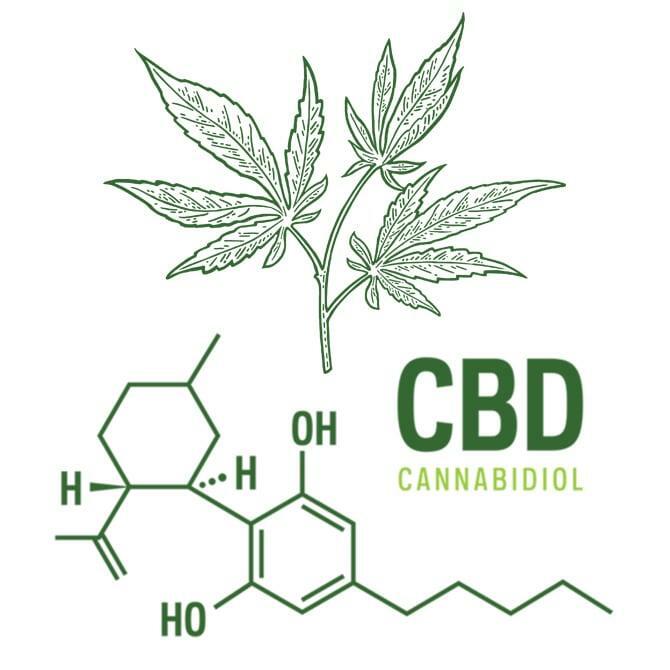 Preliminary results look promising as CBD has been time and again shown to work to promote general body wellness including pain inhibition, quick recovery, and reduction of stress and anxiety in patients without the mind-altering effects of smoking pot. It is important to underline the fact that medical marijuana is still marijuana. Would you like to educate yourself some more on the benefits of CBD? Here are the Top Ten Benefits of CBD Oil. THC is often perceived as the evil twin of CBD, but this is inaccurate. First of all, there are over one hundred known cannabinoids which are sister to CBD and THC even though most of them as less known. THC is most known for its high as it is the psychoactive element of any weed strain. It is the part of weed that makes people unlike themselves and blissful. Contrary to popular belief, THC not only gets you high but is also a healing agent and an important partaker in what is known as the entourage effect of medical marijuana. What that last phrase means is that the active ingredients of cannabis plants act together synergistically to produce better results when combined than when apart. Just the same, it is not wrong to associate THC with the recreational use of marijuana, after all, it is the component whose percentage composition determines how stoned one can get on a particular weed strain. Many people get mixed up which is which and often people will be duped to buy hemp seed oil for CBD oil. CBD oil from marijuana is the more useful substance in terms of cannabidiol content. People will try and lie to you that Cannabis derived CBD oil will get you high, which is not the case. In fact, the whole extraction process is to ensure that only traces of THC are found in the final CBD products. On the other hand, hemp oil contains only traces of useful cannabidiol and serves as a dietary supplement better than a pain reliever. Unfortunately, cannabis oil along with marijuana is not exactly legalized in all states since it remains unlawful to possess or use marijuana for any intents and purposes in certain states and countries. You will find that the cheap oils that salesmen will try and pass off as CBD oil are of little medicinal value compared to actual cannabis oil derived from marijuana specifically bred and grown for high CBD. Even this oil has several grades as some use the leftovers of the extraction process to produce cheap but way less potent CBD oil that you can get for dirt cheap. Read our article on the difference between CBD Oil and Hemp Oil! Before ordering CBD oil, you should consult your medical doctor or legal counsel about national and state laws that you are subject to. Please ensure you understand what local and federal law is on these substances before ordering or else you just might find yourself in legal strife. If you are importing from overseas, sometimes your package might never get past customs. 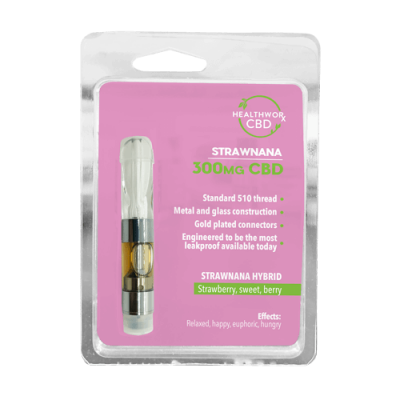 300mg Strawnana CBD Vape Cartridge for $34.99! CBD products have become the next big thing as people have learnt of the natural healing power of CBD. People now want the same health benefits for their pets as well as the pain elimination factor. There are tinctures, capsules, gels, concentrates, pastes vape oil cartridges and even CBD oils for pets. The list goes on and on and at times it can be very difficult for novice users to find the right product to start with. The good thing with CBD is its versatility of use and the incredibly many ways in which you can choose to ingest it. There are a number of foods where CBD can be added to make more enjoyable to consume such as chocolates and gummies. Some products are flavored well; some are left with the rich earthy taste reminiscent of the marijuana strains that it is derived from. There are cannabidiol products for skin which can be applied topically. Skin and beauty products made from cannabis oil are a whole new category of CBD products for your to consider. CBD has receptors all over the body and the skin is particularly equipped with millions of these. These oils are an efficient treatment for irritable, dry skin and scalp as well as conditions like acne. With regular use, CBD prevents inflammation and damage to the skin keeping aging symptoms at bay. Another class of unique CBD products are salves that help athletes with workout recovery. Every top performing athlete uses some form of pain medication for injuries and pain due to strenuous exercise. CBD is good for the muscle and brain and works on pain from the inside out. It goes for longer and helps athletes sleep better. This alone can speed up the recovery process while enabling athletes to do more with their training time. If would suffice to say that the best CBD product to buy for first time use will depend on what you intend to use it for. For muscle pain for instance, you might want to try applying topical gels for workout recovery. If you want to sleep better, CBD oil or capsules should help and the same goes for those living with chronic pain. Another vital step is choosing the cool brand to purchase your CBD from. All CBD products are not equal so you should do you research well before purchasing. Branding will determine your whole CBD first time experience and often dictate your ability to utilize the product for long term benefits. also consider the method that is best suited for you to take the supplement either by direct ingestion, sublingual, topical application or vaping. Final verdict: is CBD worth the money? The best CBD oils are somewhat pricey compared to hemp oils. People complain because they fail to understand the difference but hopefully, after reading through the above, you do. Judging by the rate at which athletes and people who want to stay fit want are using these products consistently, I would say yes. CBD is worth every penny when you use it for the right reasons. The right reasons being getting back in shape and preventing pain and aching. There is no amount too big to pay for a peaceful night’s sleep. Similarly, people living with chronic debilitating diseases will give anything for some form of relieve that does not poison their body or get them addicted after a longer period of usage. Unlike conventional medicine, CBD hardly gets tolerated in the body rendering its use ineffective for pain. So for the value that it gives, CBD is worth the effort, the unpleasant taste (for non-smokers) and even the potential stigma. Luckily, you can have CBD delivered to your doorstep with utmost discretion.